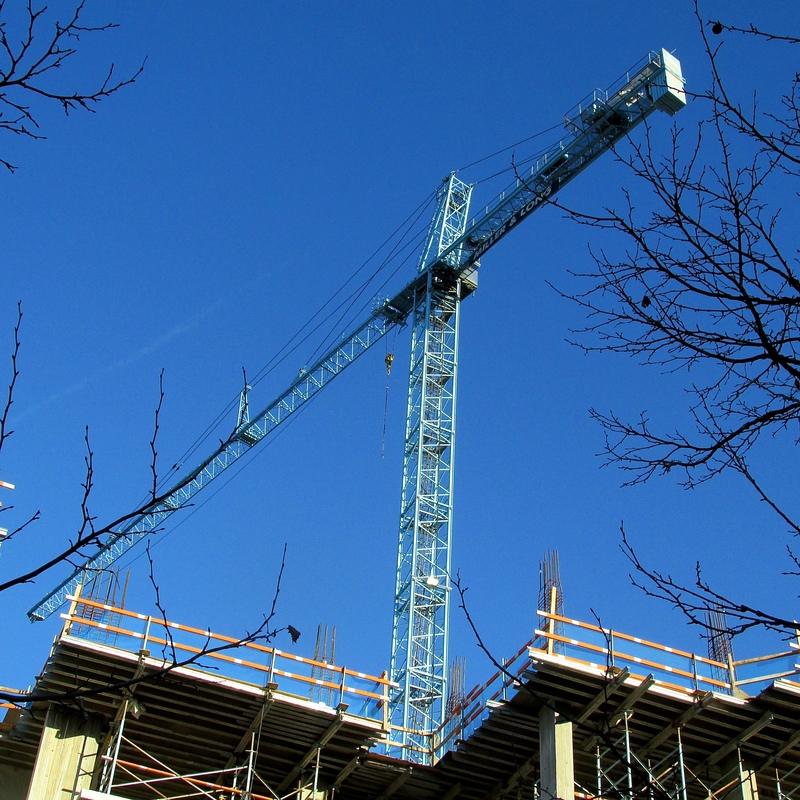 A CONSTRUCTION CRANE TOWERS OVER A BUILDING IN PROGRESS IN THE HEART OF ROCKVILLE. Back in the day, the symbol of change was the bulldozer. When the suburbs were being created in the 1950s and 1960s, one was never far from the sight or sound of bulldozers grading the land for construction of single-family houses on quarter-acre lots. Fast-forward to 2014, and the symbol of change is more often the construction crane. Single-family houses — mostly for the high-end market — are still constructed in Montgomery County, but that’s no longer the most common form of construction. More often, you see multifamily housing. The garden-apartment style of multifamily has been replaced by four-story buildings, and the trend is to go higher and denser. We seem to have general agreement in Montgomery County in favor of tall development, rather than sprawl development. “Smart Growth” is the catchphrase. The profiles of some communities — Bethesda, Silver Spring, and Rockville — have been redefined by high-rise construction. We’re not talking skyscrapers, but that time may come. This entry was posted in Housing, MARYLAND and tagged Change, Construction crane, Economic development, Growth, Montgomery County, Photos, Planning, Rockville by Editor (Retired). Bookmark the permalink.